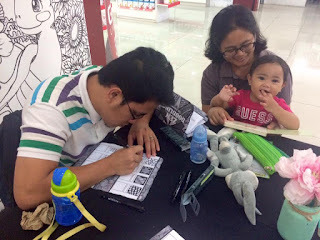 Last April 10, I was able to score a father and son activity for Gab and Popy through Mommy Bloggers Philippines. I was so thrilled. Because I usually have extracurricular activities for me and Popy; and next to none for the father and son tandem. So this was particularly special for them. The event was to start at 10am. 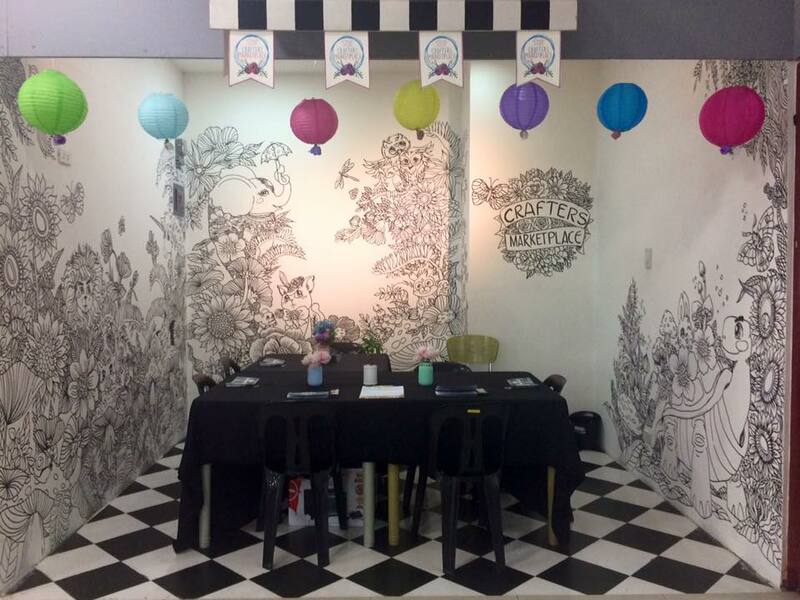 We came from Makati and commuted via train to Shangri-La Plaza Mall where Crafter's Marketplace was. We were so early (and excited) that we even had enough time for breakfast and to do a trip to the grocery. The workshop started about half an hour late, too, but it was fine. I wanted to color the walls. We met Phoebe of Charley's Mommy blog and her husband and adorable Charley who was such a ball of energy. 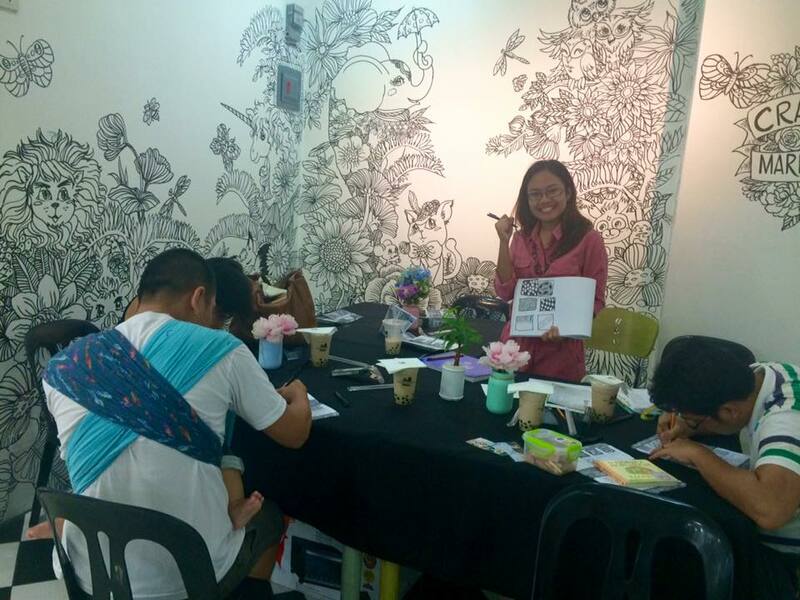 Their workshop teacher was Veve Basbas, accountant by day and doodler in between. She even invited Phoebe and I to join the doodling. I really wanted to. Thank goodness! We had our introductions. Gab felt like a challenge. Oo, s’ya talaga yung challenge. He’s an advertising arts graduate and works as a graphics and 3D designer. 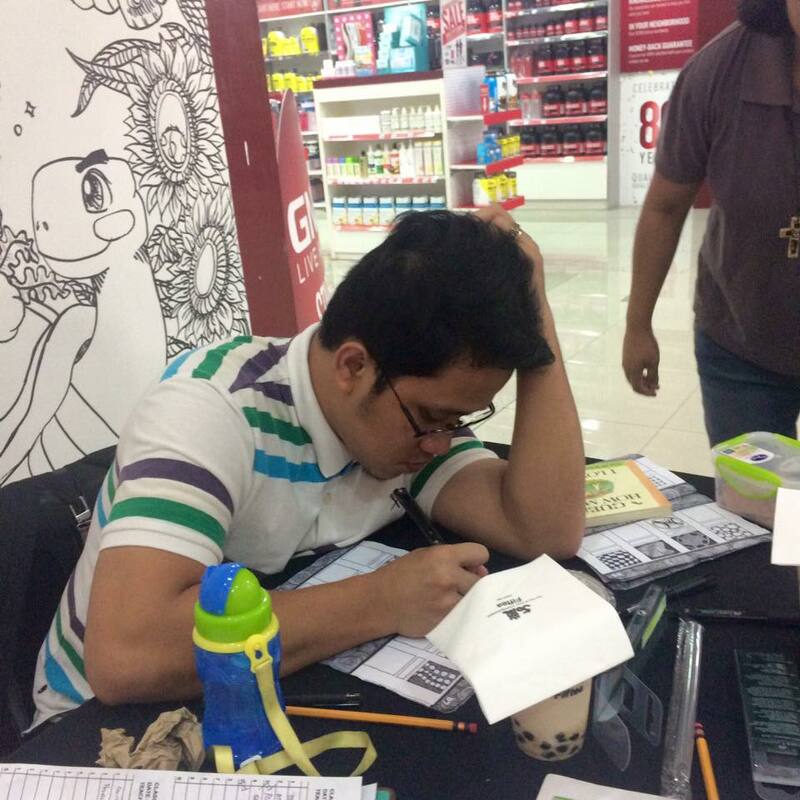 Kahit si Teacher Veve na-pressure! But he was very cool about it. Nahiya pa tuloy s’ya. Teacher Veve showed us some of her works. They were beautiful. She had mandalas. I swear, I had my husband explain what a mandala is. I wish I was able to take a photo of the ones that she made because they were so intricately designed. We were given workbooks. 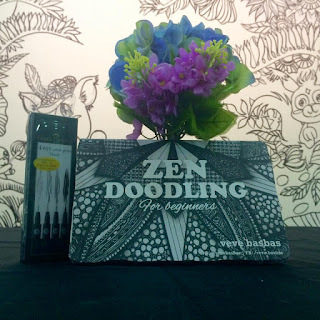 Zen doodling helps calm a person; hence, the name. 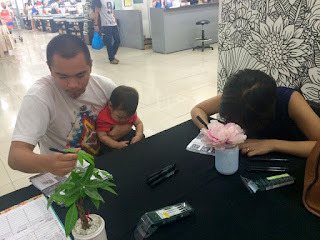 We were lent four Faber Castell pens, which I wished we could take home (but they were just lent). However, I have to mention that I find it a bit difficult for an obsessive-compulsive such as myself. We had to copy the MSST design on the upper left. 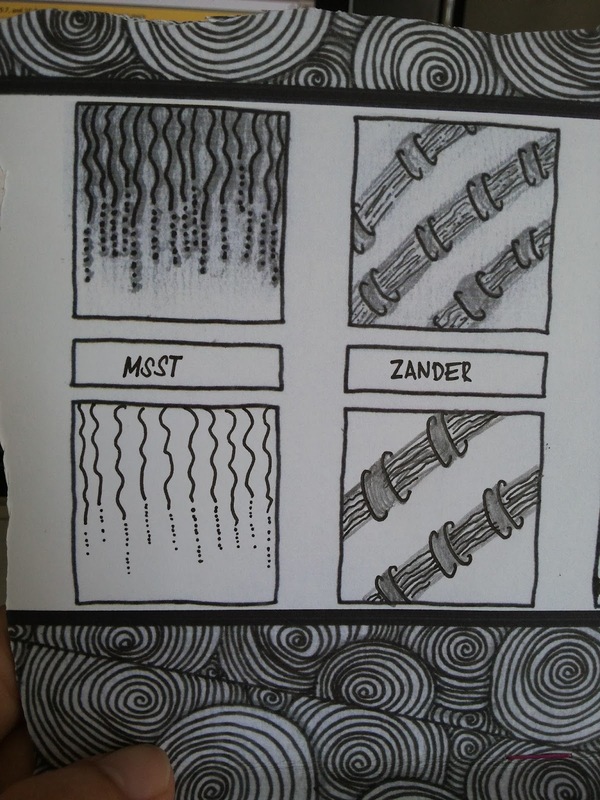 I ended up doing curly lines with same lengths on the lower left! I had to go back to it and add a few millimeters each. The Perezes busy with art. 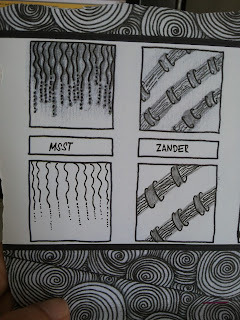 Verdict: I need those Faber Castell pens! You can invite Teacher Veve for doodling. 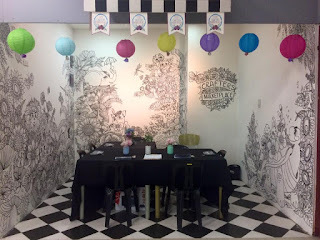 See her a doodles in her Instagram and drop her a message at her Facebook Account. Photo credits to Teacher Veve. My phone acted up and I lost the ones that I took. I bought a mandala coloring book and new colored pencils a few weeks back. Unfortunately I haven't finished coloring a page. I have so many things going on at work, when I get home I too tired to even pick up a pencil. I wanted my hubby and son to join this event however it was on a Sunday. 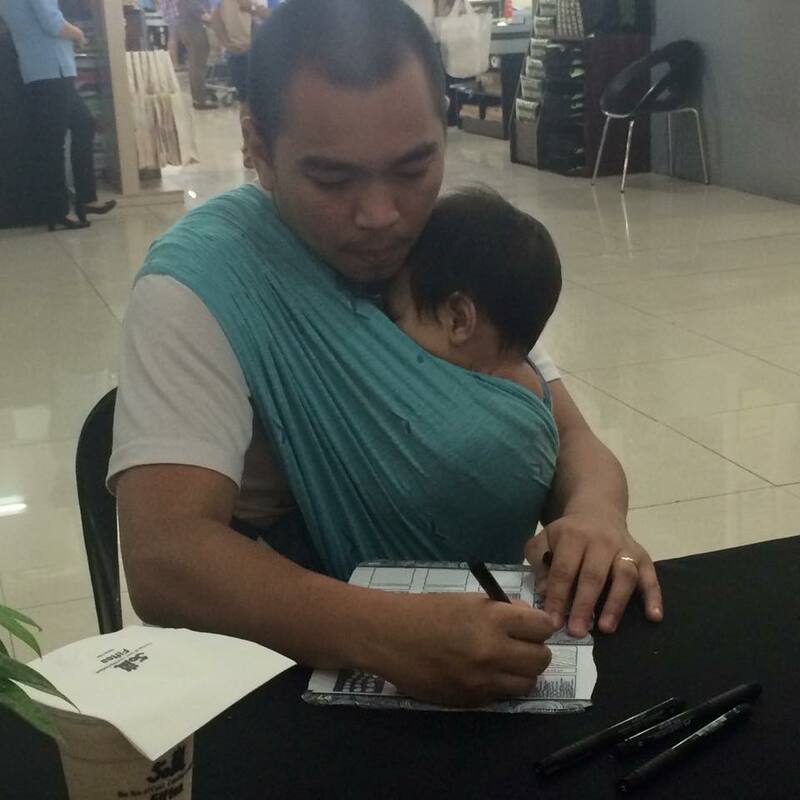 I hope they'll have another session for Dads. Nevertheless, I think Dads had a great time! I have absolutely no idea how to doodle! hahaha! This looks really nice and interesting! I badly need a relaxing activity. I think I should try Zen Doodling, too, since you said "calms a person" who does it. Doodling is something I wish I knew I could do well. I try but my work always ends up looking pathetic. Haha! I guess I need a workshop to learn how to do it properly. I love doodling but my doodles are so pangit haha. I hope to attend future workshops from Crafters and Scrappers again. I was able to attend their basic calligraphy class. So cute for the daddies to join. I even asked my husband to try the doodling class but he just gave me one of his sharp looks. Haha nakakapressure naman talaga if may expert among your participants. It must be quite an experience for the instructor!